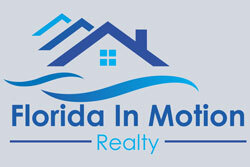 Florida In Motion Realty was the mastermind of four business professionals located in Central Florida. The goals for Florida In Motion Realty are to serve the area’s real estate needs with Integrity, Quality, and Honesty. Florida In Motion Realty offers something that no other company has, a unique and different marketing plan to help promote and sell your property fast! These same four people are also the owners of Listings in a Box, which provides a magnitude of unique marketing ideas and options in promoting real estate! Florida In Motion Realty has many key relationships within the community that have taken years to develop, these relationships help to bring a complete package for both buyers and sellers. We have a team of professionals that can assist with everything from legal questions about pre-foreclosure, short sales, agents who specialize in investment property, luxury property, commercial property, property management, and new construction.